Today we’re celebrating another chapter in SEMrush’s history. Meet the brand new Link Building tool – your own research lab, which will give you everything you need at once to build effective link-building strategies for your site. As we all know, a good backlink profile with high-quality niche links is one of the most important ranking factors for Google. Basically, working with backlinks involves two major processes: first, you have to analyze your current state of affairs, then improve and strengthen your backlink profile by adding high-quality backlinks from the best sources in your niche. Knowing this, we have optimized our efforts and focused on creating one unique tool that will help you collect recommendations for the most relevant links sources, contact those sources in no time, and consequently track your progress with the most important links. 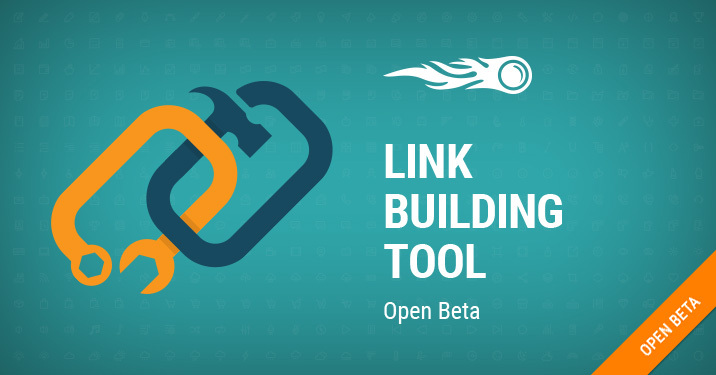 In other words, the Link Building tool allows you to create a workflow out of SEMrush data. You can find collected ideas in the Prospects tab. As always, it’s easy to filter and sort recommended sources. In order to start reaching out to a website’s owner, add a prospect to your In Progress list. 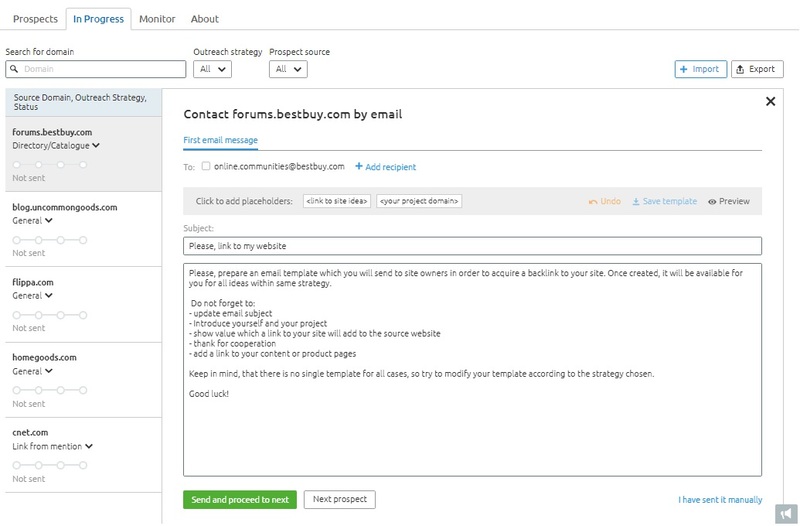 You will also be prompted to connect your mailbox so you can contact website owners and track emails without leaving the tool. 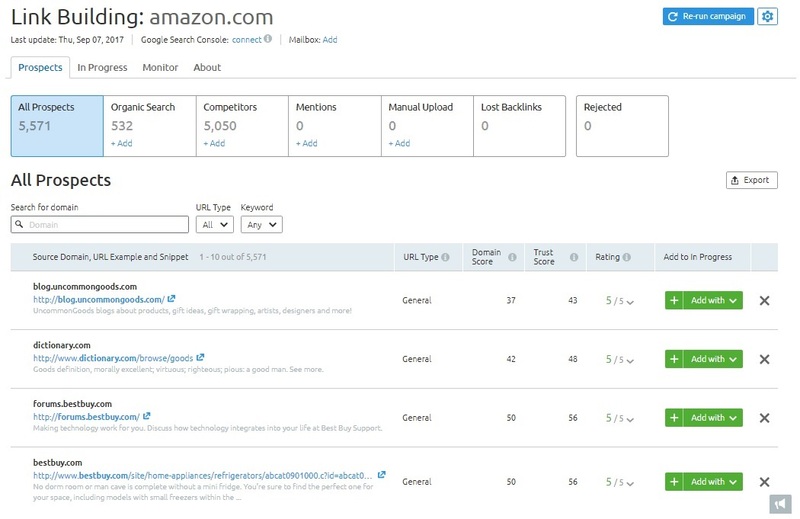 To try out our new tool, go to SEMrush projects. If you already have at least one active project running, you'll notice a new block on the Projects panel: ‘Link Building tool.’ Now you’re all set to start your first link-building campaign. Connect Google Search Console for more thorough link monitoring. Please note: our new tool is only in open beta and we’re constantly working to improve it. That’s why we’re anxious for your feedback - we want to create the perfect all-in-one tool for your link-building efforts! Please send us your comments, thoughts and ideas at [email protected].